Exciting news, Apple device users: New emoji are on the way. To celebrate World Emoji Day, Apple shared some of the new characters coming to iOS, macOS and watchOS later this year. Apple said the emoji should "make it easier for people to express themselves with greater diversity, additional animals and creatures, new smiley faces and more." The new characters include a woman wearing a headscarf, a person meditating, a bearded man, a woman breastfeeding and food items such as a sandwich and coconut. Also on tap are some more animals and "mythical creatures" like a t-rex, zebra, zombie, elf and genie coming out of a bottle. There's also a new puking face, a "star struck" emoji (a smiley face with star eyes) and an "exploding head," for when someone says something that blows your mind. 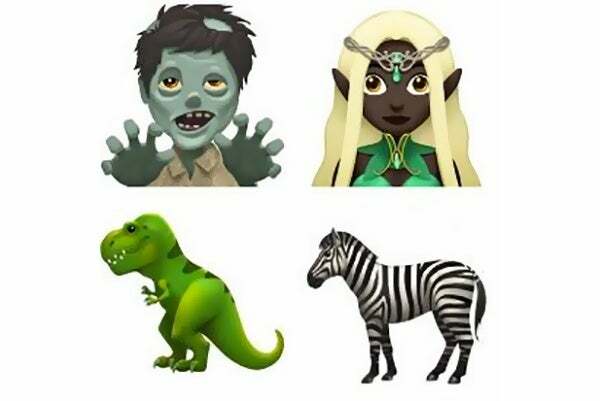 Apple was also apparently excited for the premiere of Game of Thrones season 7 last night, because one of the new emoji is a khaleesi character. That's right: Daenerys Targaryen, aka the Mother of Dragons, is now an emoji. Apple is also celebrating World Emoji Day in the App Store. The Cupertino tech giant is currently highlighting a number of emoji-themed apps available for download in the store, including Emojily, which helps you create your own characters; Swiftmoji-Emoji Keyboard, which helps you find the right emoji just when you need it; and Gymoji, which promises to "help you effectively communicate while in the gym." Meanwhile, mark your calendars, emoji fans: Sony Pictures Animation's upcoming comedy, The Emoji Movie, hits theaters on July 28.